If you're a nineties kid with a tender spot in your heart for the good old days when boy bands would wear matching clothes and have a heavily choreographed dance routine, this is the one for you. Backstreet's BACK with a zombie movie called Dead 7, written, directed and starring Nick Carter (because LOL why not). Doesn't sound fun enough? 'N SYNC WILL BE IN IT AS WELL. This is like the American, zombie version of McBusted. Our bodies are ready. They are original. They are the only ones. They are sexual (yeeeeeah), so it stands to reason that the Backstreet Boys and 'N Sync boy band zombie extravaganza Dead 7 is going to be the greatest movie of modern times. It is foolproof. 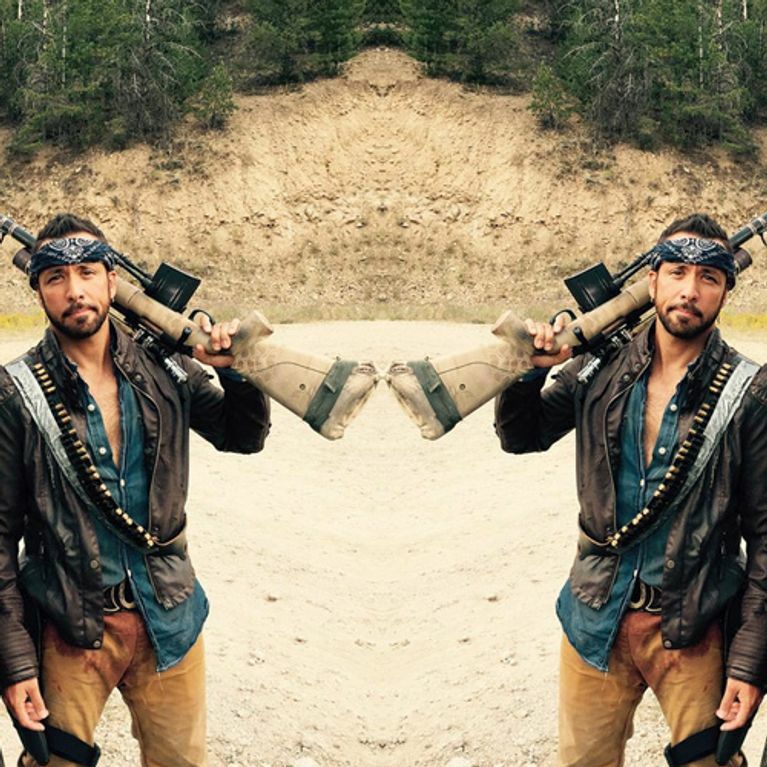 We've been treated to a glimpse of the zombie set from Nick Carter's Instagram, showing himself and Howie Dorough rocking bandanas, rifles and pipes, proving that this is surely going to be as good as we dreamed it would be. Nick also shared a quick video of him practising stunts and we've got to say, we're loving the Western zombie vibe! A.J. McClean has also been showing off on set as the character 'Jonny V', who apparently dresses like a clown and kills zombies atop a horse. As if that wasn't enough, Olivia Newton John's daughter, Chloe Lattanzi, is also due to star in the movie (this cast guys, THIS CAST! ), and has shared snaps of herself surrounded by zombie extras and loving every minute of it. So what's the movie really going to be about (besides Western zombies)? Carter told Rolling Stones it's about a "ragtag band of gunslingers", set in the future. He said: "It's a zombie Western futuristic horror movie. My character is still being worked out right now, but I'm a good guy that's going to help save the day." He also mentioned other band members he'd want to get on board, saying: "There's a wish list of people that I want. I want it to be musically based. I might reach out to Jordan from the New Kids on the Block." Are you excited for this?! Tweet us @sofeminineUK! From 'N Sync to The Back Street Boys: Where Are They Now?